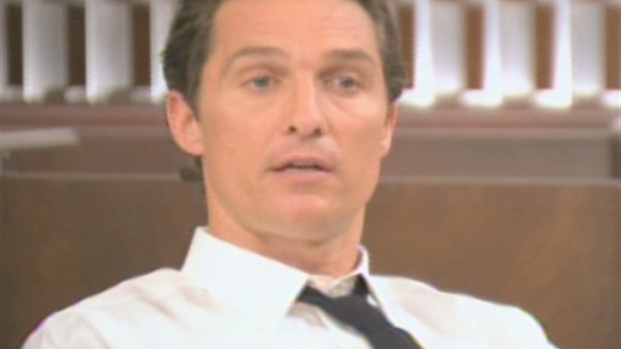 McConaughey and Witherspoon Step in the "Mud"
A decade ago that headline would've been huge news. Reese Witherspoon and Matthew McConaughey are in talks to star in "Mud," about an ex-con trying to reconnect with the love of his life, reported Deadline. McConaughey would play the title character with a criminal past, who becomes friends with a teenage boy, played by "Tree of Life"'s Tye Sheridan, who helps him escape the law and track down his soul mate, Juniper (Witherspoon). Jeff Nichols, whose latest film, "Take Shelter," has been a hit on the festival circuit and is due to be released Sept. 30, wrote "Mud," will be directing, as well. Check out how young director Brad Furman got the gig helming this Matthew McConaughey drama in this sneak peek at the DVD coming to stores July 12. “Jeff Nichols has written a beautiful story with rich characters learning valuable lessons through life-changing circumstances. With Jeff’s vision, this will be a work of art,” said producer Lisa Maria Falcone, founder of Everest Entertainment. “It’s an incredible script which Jeff, along with Matthew McConaughey, Reese Witherspoon and Tye Sheridan, will bring to life."